Currently I’m a PhD student at the School of Informatics and Computing, Indiana University. I started my PhD studies in August 2012 and working with Professor Beth Plale on Distributed Systems. In addition to that, I’m working as a Research Assistant at the Data to Insight Center, at IU. I completed my undergrads at the department of computer science and engineering, University of Moratuwa, Sri Lanka. Previously I worked as a Senior Technical Lead at WSO2 Inc. which is a leading open source SOA company. I joined the company in May 2008 and left in July 2012. I was working on WSO2 Application Server and WSO2 Carbon projects and played the Project Manager role for WSO2 Application Server as well. I’m pretty much interested in Java programming and I’ve been contributing in many different open source projects for more than two years. During my internship at WSO2 from September 2006 to April 2007, I was working on projects like Apache Axis2 and WSO2 WSAS. After that I completed a Google Summer of Code (GSoC) project on Apache Log4J in 2007 GSoC competetion. I sent u a post on that stenting. Just now only I read details about u. I also have been graduated from same uni, CSE department, UOM. But Im pretty serniour to u, as I have been graduated in 2002. Just after my graduation, I joined to SLIIT as and Assistant Lecturer and now have been working there for alomost 7 yrs. Now i am a lecturer there after completing my MSc. Pls be kind enough to reply to the post about Stenting. It’s nice to know that you are also from our department :-). I’ve already replied to your comment. Are you from Vajira ayya’s batch? He’s from Galle and working for MIT i guess. 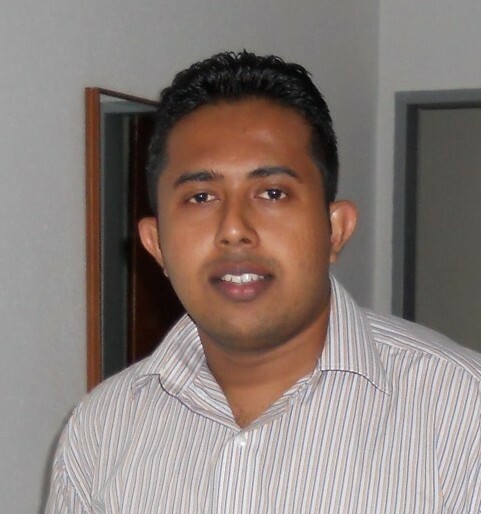 My brother also graduated from CSE in 2003 (97 AL) and his name is Amila Suriarachchi. You may know him.. I wrote that blog thinking someone may find it useful. I’m always pleased to share anything I know. Don’t worry, it’s a simple treatment :-).